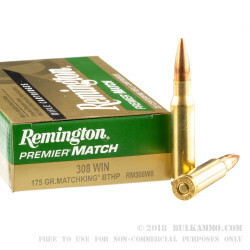 Remington’s premier match .308 ammunition comes loaded with a Matchking 175-grain hollow-point boat tail projectile from Sierra. Sierra Matchking rounds are a popular choice among manufactures looking for creating an extremely accurate round. Tested for wall and jacket thickness, these rounds cycle more consistently, and their uniformity makes for greater levels of accuracy. 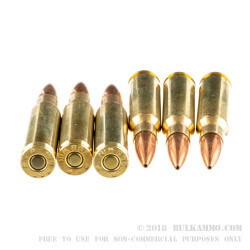 Loaded into boxer-primed, noncorrosive reloadable brass cases, these .308 rounds from Remington are capable of a muzzle velocity of 2680 FPS. 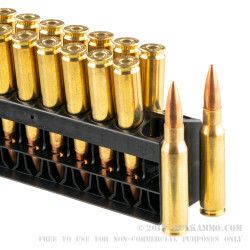 Great for varmint hunting or even big-game, these rounds are also perfect for the high-volume shooter to train with at the range. 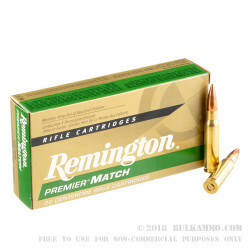 These 200 round cases come with ten, 20 round boxes of .308 Win from Remington. The POF .308 / 7.62x51 with this Ammo works Great.